I took interest in community development three years ago during my first year at the University of Oregon. Never had I realized how privileged I was to grow up in a community where at a young age I could jump on my bike and ride to morning swim practice, to school, or to 7-Eleven for a $.99 Slurpee without even a second consideration. In the last three years, I have spent time travelling around the world and to different US cities while also studying transportation, city planning, the history of Urban Renewal and gentrification. Through these experiences I have become passionate about setting myself on a career path towards creating more of these safe, livable, and equitable spaces for people that will stand the test of time—similar to the ones that I was lucky enough to grow up with. Last winter I made it my goal to find a summer internship working for a company who does just that. To work with professionals who are not narrowly concerned about bottom line profits, but about the cohesiveness of a neighborhood and the feeling of community that backs it. When the opportunity to work for Brooks Resources Corporation came up, I knew it could not be passed up, and my search for the perfect job was over. These are the mothers and fathers of NorthWest Crossing, the neighborhood I attended school in and watch grow around me. Where all my friends’ parents bought houses, and as a 10-year-old, the most sought-after trick-or-treating neighborhood in town. The last twelve weeks have flown by, and reflecting back on it all, I know that it could not have been a more rewarding or educational experience. I came into the office during an extremely busy few months. There were conversations about how to celebrate 50 years of Brooks Resources next year, there were countless conversations about infrastructure planning which resulted in a Development Agreement submittal, the finalizing of a Master Plan for a future community, planning for a transition in NorthWest Crossing, talks of what Bend’s Central District could look like down the road, and so much more. This is an office of planners and forward thinkers, Bend natives and long-time residents. The change that Bend endures matters to them and their families and this was apparent to me from the first day that I walked into 409 Franklin. I was brought on, officially, as a Marketing Intern. But with it clear that my interests were broader, particularly in the design and land-use processes, I was soon invited to sit in on various meetings, picking up responsibilities across multiple departments. I was excited to be exposed to the work of everyone around the office. From design guidelines to the proforma, developments take an incredible amount of work that goes beyond just the drawing of lot lines or moving dirt. There is an investment of time and money that goes into preserving open space, defining employment lands, fire safety, animal habitats and of course neighboring homes. And that work yields us a continuation of what Bend looks like, feels like, and what we love about it most. It also creates new spaces where people like us, the locals, can go out and enjoy without the dread of knowing we will encounter an over-run, tourist destination in our hometown. Central Oregon has, in a way, been in the hands of Brooks Resources Corporation for 49 years. 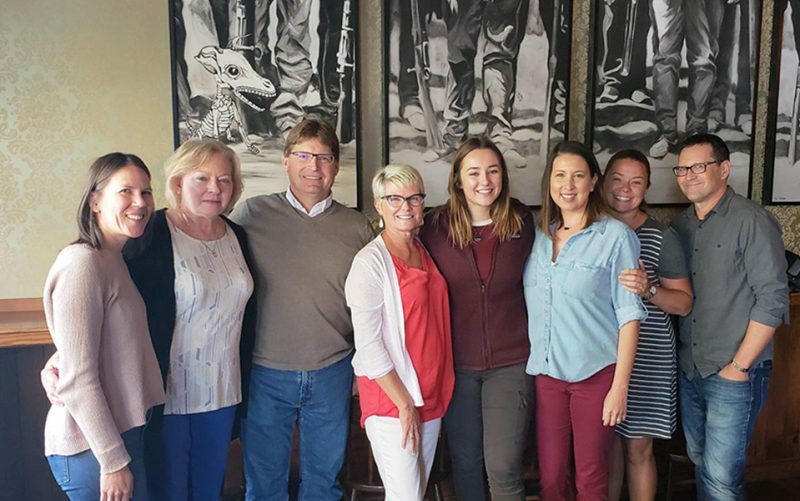 Their finger prints are all over this town, and to have worked alongside the Brooks team the last few months has been the most rewarding experience. I have been exposed to the history of the company’s last 5 decades (quite literally, I spent a good several hours in the Deschutes Historical Society looking at old newspaper articles about Brooks-Scanlon and Brooks Resources) and I am confident that they are steering Bend in the right direction. Luci is a 2015 Bend High School graduate who is majoring in Planning, Public Policy and Management at the University of Oregon. 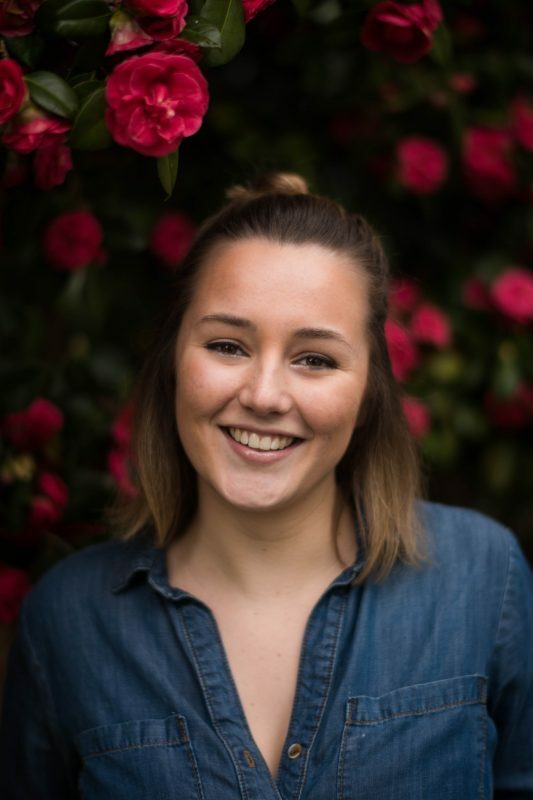 She is an active participant in the Associated Students of the University of Oregon (ASUO) as a member of the Programs Finance Committee and holds a leadership role on the ASUO Student Senate. Outside of her life as a student, she enjoys solo backpacking trips, spending time at Hoodoo volunteering for Oregon Adaptive Sports and attending as many live music shows as she can. This entry was posted in Industry Insights. Bookmark the permalink.